I've always lived in quieter villages and towns, lucky to be surrounded by beautiful British Countryside and not too far from Robin Hood County itself, full of enchanting history and wondrous myths and legends. I've always preferred living in the Countryside, having tried the 'big smoke' life of London living back at University, and craving the quietness and gorgeous views that come with living in the Countryside. 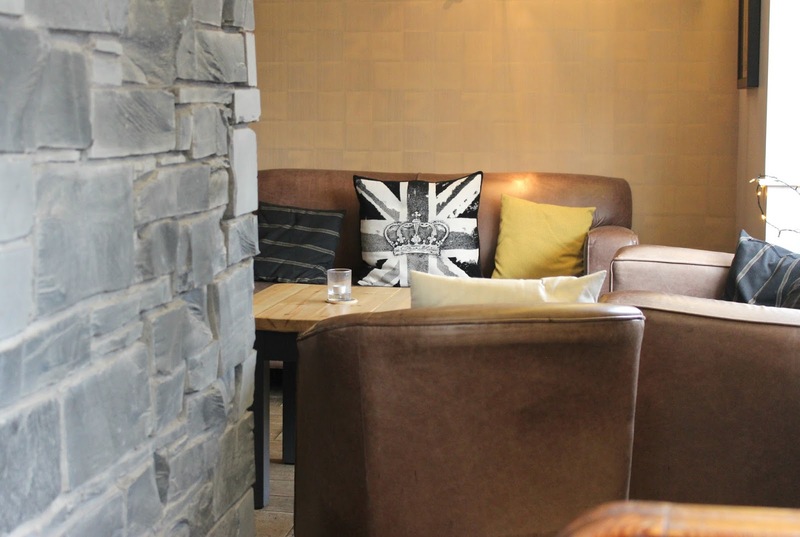 One of the best things about living where I do is finding hidden gems in picturesque villages surrounded by gorgeous scenery, somewhere that feels cosy and homely as soon as you step through the door, and that is exactly how The Queen's Head in Belton feels. Having recently changed ownership and had a gorgeous revamp, The Queen's Head surprised me with how beautiful it was. 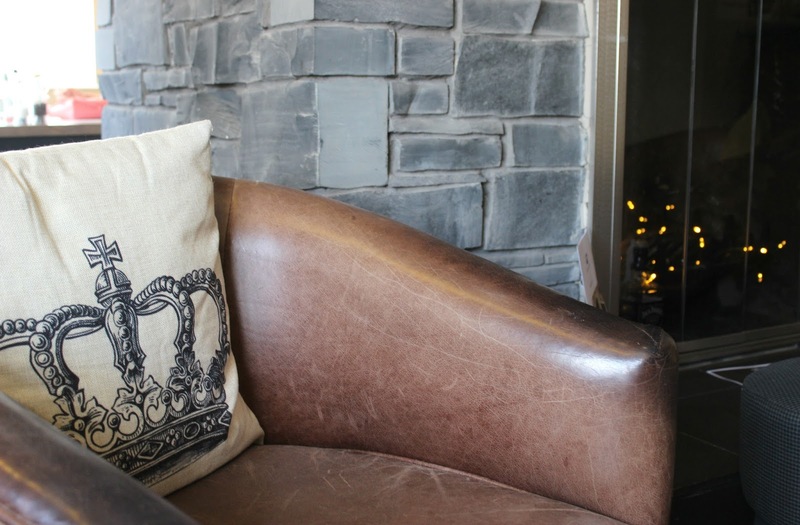 Fairy lights are draped everywhere, with cushions and cosy fires to sit by and enjoy a drink. The decor is fresh and modern, whilst still having that cosy Country pub feel. 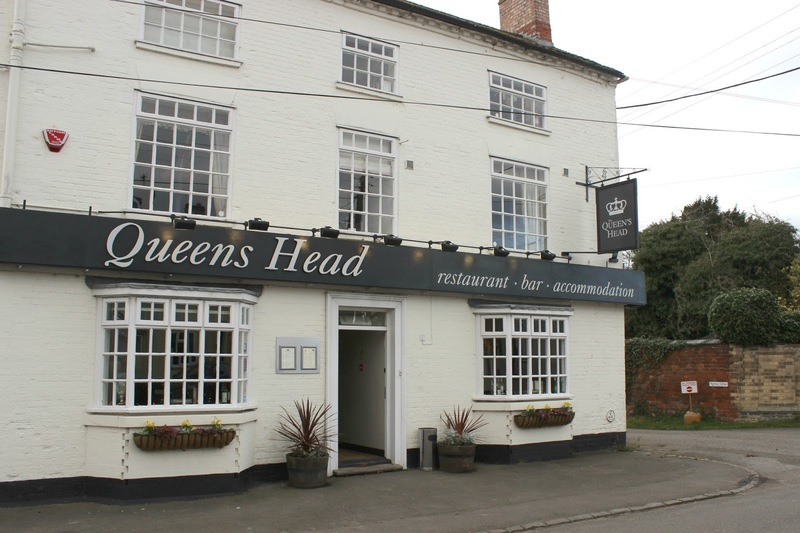 Not just a pub, The Queen's Head combines Country dining with accommodation, with bed and breakfast available for longer-stay visitors. 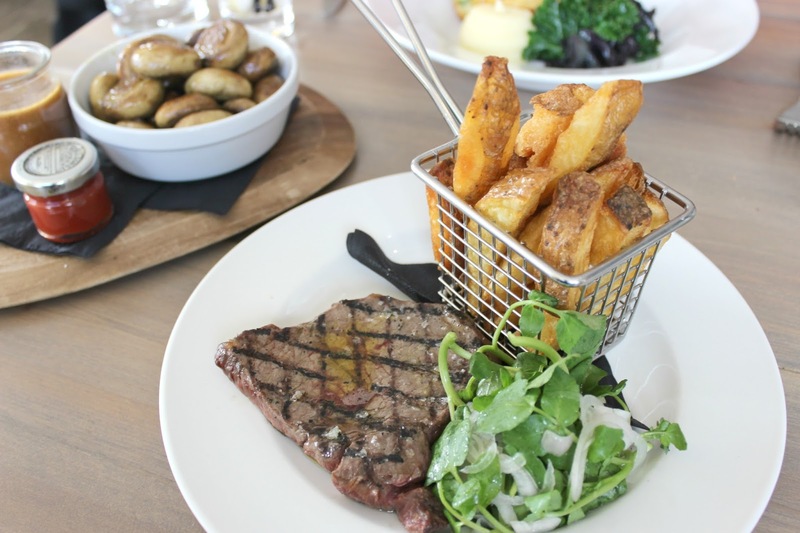 The menu combines classic pub favourites with a few tasty modern twists, all whilst using as many locally sourced ingredients as possible. This is something I really love when I am dining somewhere; knowing that local farmers and markets are being supported by local businesses, offering high-quality produce and ensuring the best taste possible, whatever meal takes your fancy. 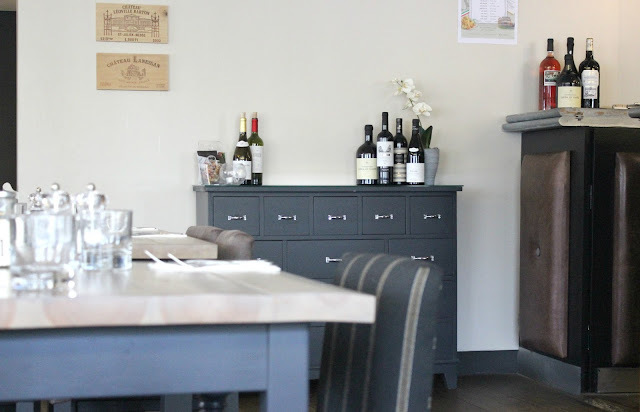 Open 7 days a week, food is served in from Tuesday to Sunday two parts with lunch time and evening options. There's also delicious themed nights like Fish & Chips Night on a Tuesday, and the occasional fun Curry & Quiz night. If you pick the right day, you'll even find some entertainment to complete your night, with an upcoming event that'll be perfect for Adele fans; Friday, March 10th from 9:00 pm The Queen's Head are hosting an Adele Tribute Evening. Drinks on offer include your usual pub favourites along with an extensive wine menu and a dedicated gin menu, perfect for those who love a G&T like me. The menu is short and sweet; enough options to please a variety of different tastes but not so busy that you are overwhelmed with options. To start, I couldn't resist trying the Crispy duck egg, smoked salmon, little gems and Ceasar dressing. 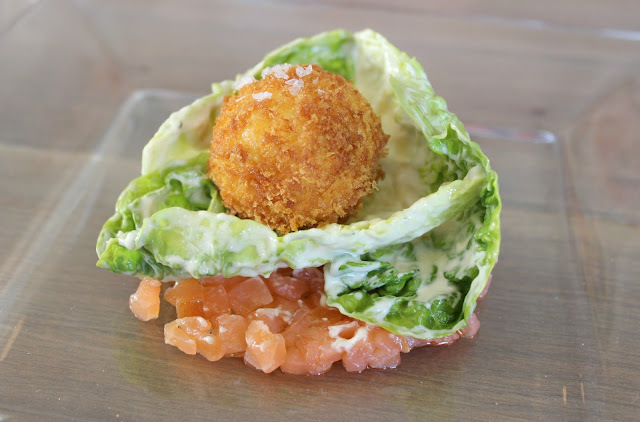 The egg was presented in a crispy round ball whilst being delectably soft and runny inside, making a perfect accompaniment for the gem lettuce and smoked salmon. Light, full of flavour and more than enough to get me ready for my main course. 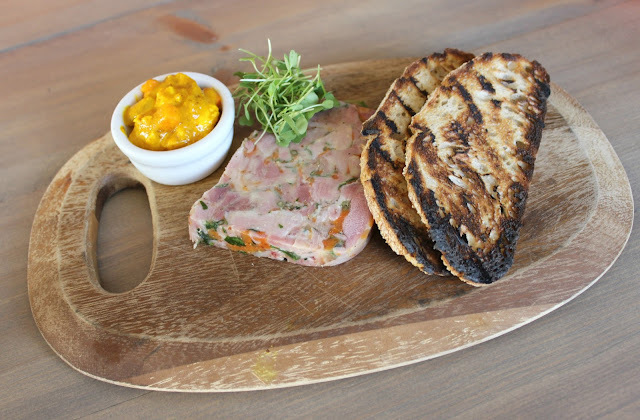 My friend opted for the Pressed terrine of ham hocks and parsley, homemade piccalilli and sour dough toast, which I most certainly tried a little of and loved the fresh punchy flavour of the homemade piccalilli. 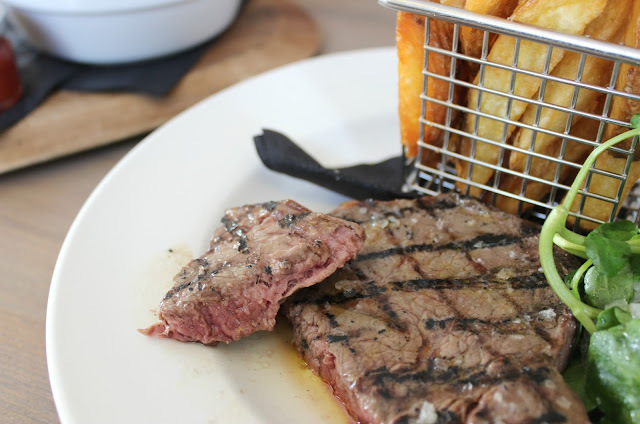 My main was a no-contest choice, I'm a sucker for a good piece of steak and opted for the 6oz Rump Steak, served with triple cooked chips and watercress salad. I asked for my steak to be cooked rare, as this is my preference with a steak, and my request was perfectly fulfilled with the most beautiful, succulent, rare steak. The triple cooked chips were crispy and crunchy on the outside, but still managed to have a soft and fluffy centre, whilst the watercress salad was the perfect touch of flavour to compliment the dish. 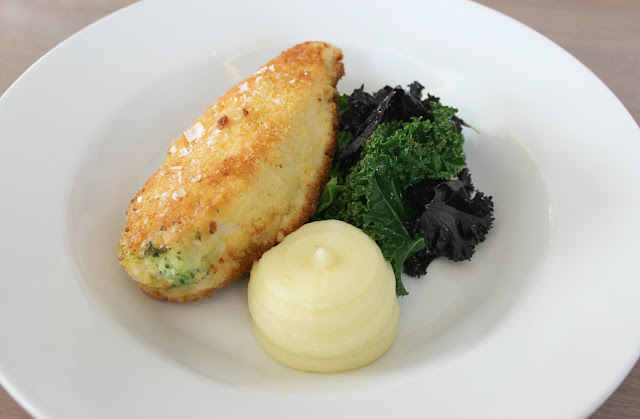 For her main, my friend opted for the chicken kiev, creamy mash and buttered kale, and when it arrived it was hard not to tuck in myself! It looked absolutely delicious and it was clear to see the chicken was perfectly cooked. It received lots of praise from my friend, who thought the dish was flavourful, filling and beautifully presented. 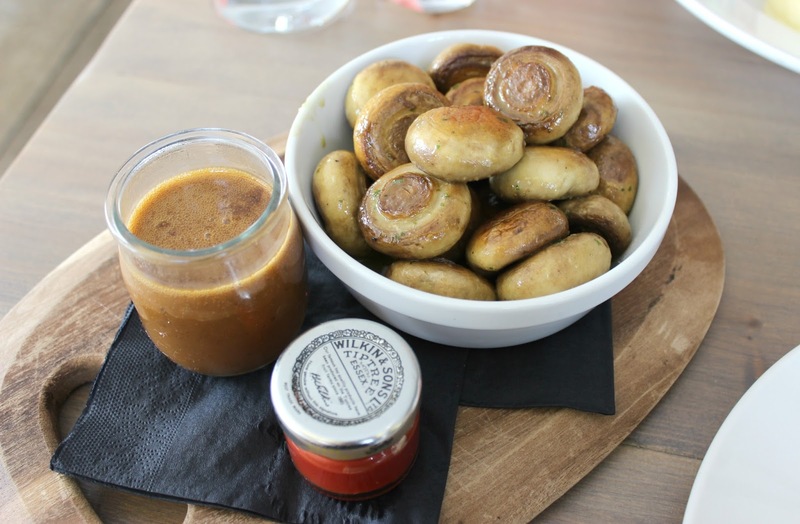 We shared a side of mushrooms with garlic sauce which was delicious; the buttery garlic sauce was spot on and also made a good dip for my triple cooked chips, whilst the mushrooms went really well with my lovely rare steak. For dessert, we both decided to go for the homemade waffle, cherries jubilee and vanilla ice cream, and boy was it a good choice! You could tell the waffles had been freshly made for our order, not hard and difficult to get through like waffles I've tried before, but light and fluffy, almost like a waffle pancake. 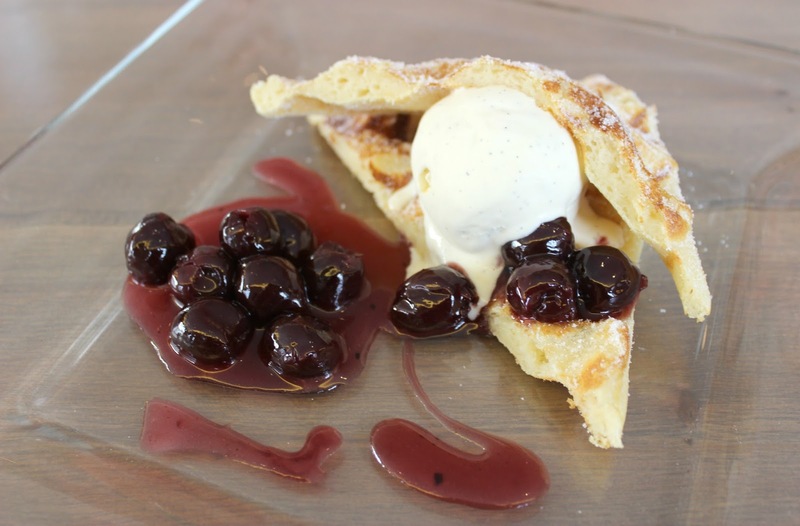 The cherries jubilee was incredible and I could have happily eaten a big pot of those on their own! The vanilla ice cream gave a lovely contrast and had a real spark of fresh vanilla. 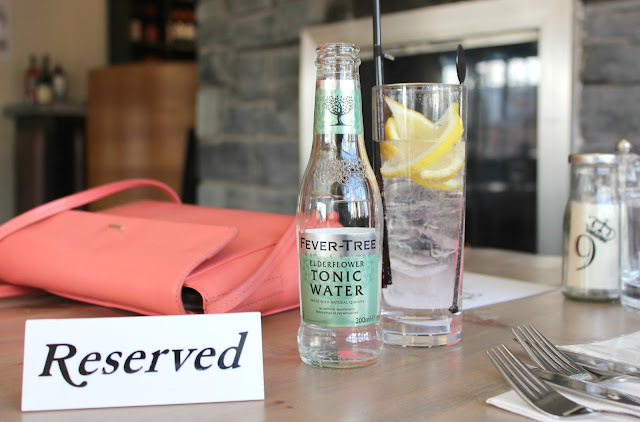 After heading to The Queen's Head yesterday to sample their menu for myself, I couldn't wait to share my thoughts with you; all of the food was absolutely delicious and so full of flavour. Everything was perfectly cooked with not a single negative to any of the dishes we feasted upon. The Queen's Head is undoubtedly a real contender when it comes to classic Country pubs in Leicestershire and is one you should definitely pop on your to-visit list if you're local or visiting in the future. Perfect for a date night, a meal with friends or even a family celebration, with all the necessities for babies and young children! Add to that incredibly welcoming and friendly staff and brilliant service throughout our visit, I think it's safe to say I'll be heading back to The Queen's Head soon. Find out more at queensheadbelton.co.uk. meal by The Queen's Head team - Disclaimer.